Minneapolis/St. Paul (June 15, 2018) — Mixed Blood Theatre announced its six-show lineup Friday for it 43rd season in 2018-19. Transforming the Impossible to the Probable. Speaking truth to power and upending the status quo through theater via provocative programming in which comedy, drama, satire, and extravaganza take on Me Too, automation, Black Lives Matter, abortion, climate change, gender identity, NFL player protests, and, throughout everything, race. 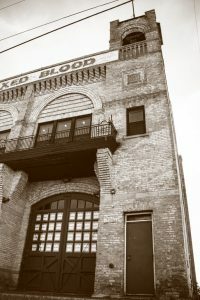 The season will put on display Mixed Blood’s core value to be predictably unpredictable. African American twin sisters journey from the Dirty South to California in blood-soaked travels. It’s both a satire and an earnest exploration of what it means to claim justice and survive violence. Funny, triumphant, and surprising, Is God Isasks us to consider the roots, futility, and consequences of cyclical violence. The Prescient Harbingers plays are glued together by an African American male prism, through contrast and via Second Amendment violations. In “Gloria,” sincerity meets cynicism meets hilarity as millennials mock the Xers and boomers in a field – print media – on the edge of obsolescence. 30-something Branden Jacobs-Jenkins is the recipient of a MacArthur Genius Award. “Gloria” was a finalist for the Pulitzer Prize for Drama in 2016; another, Everybody, was a finalist in 2018. Both of his plays Appropriate and An Octoroon won Obie Awards for Best New American Play in 2014. “Gloria” is the third play by Branden that Mixed Blood has produced, preceded by Neighbors and An Octoroon. “Hooded” is a breathtaking, subversive dead-serious comedy that unwraps what is no laughing matter: race relations in America and the peril faced daily by young Black men. 20-something Tearrance Arvell Chisholm finished Juilliard’s playwriting program in May 2018. His plays, Br’er Cotton and Hooded have received productions throughout the U.S. and England. In “Hype Man,” a break beat play, hip-hop culture is a crucible where issues of racial identity, gender inequity, career ambition, and friendship converge and collide. A mixed race hip-hop trio – frontman, hype man, and beatmaker – is on the verge of making it big until the police shooting of an unnamed Black teen shakes it to its core. Their ensuing questions about race, gender, privilege, cultural examination and creative freedom threaten to blow up this union of friends and musicians. This production of Hype Man originated at Company One (of Boston), a national leader in audience engagement, artist development, and the creation of new work that pushes boundaries by presenting issues and events critical to the progress of society. The production, directed by Shawn LaCount, Company One’s Co-founder and Artistic Director, received the Elliot Norton Award for Outstanding Production and Outstanding New Script in Boston. Prescient Harbingers will have nine shows per week, three performances of each of the trifecta, with marathons on Saturdays and Sundays for three weeks in which one can see all three with three breaks for food and beverage over seven hours. Pending rights discussions prohibit the announcement of this great new play headed to Broadway! This will be your play of choice for the season. 152 wheels, 300 cylinders, 50 tailpipes, and 25 actors led by Artistic Director (and car geek) Jack Reuler will reinvent storytelling, re-tool the audience-performance relationship, enhance standard auto sound technology into sensurround immersion, and personalize what a theatrical venue can be. For performers, it will give new meaning to auto parts! Recognizing auto design as a great American art form, the disappearance of drive-in movies, the tradition of car cruising as spectator sport, and binge watchers’ insatiable appetite for series finales that end in a crescendo of tension, Mixed Blood presents “Drive Through Theater” in which audiences watch this original 10-scene car-based play from their own vehicles, driving through an indoor carscape, hearing through sound systems, and guided by phone navigation systems. Like the film Crash, the scenes eventually intersect with an explosive and surprising climax. AUTONOMY connects the dots of global warming, Autonomous Vehicles, unemployment, race, culture, pandemics, and disability. Ken LaZebnik is a playwright, author, and screenwriter, heading a LA-based MFA program in screenwriting. He has written for Touched by An Angel, Star Trek, and A Prairie Home Companion. AUTONOMY marks the eighth play by Ken LaZebnik produced by Mixed Blood, preceded by African Jazz, Calvinisms, League of Nations, Vestibular Sense, Theory of Mind, and On The Spectrum. New concession offerings include beer and wine in 2018-19 sponsored, in part, by Indeed Brewing Company and Fair State Brewing Cooperative! Mixed Blood will host on-stage conversations with thought leaders of their fields. Mixed Blood aspires to be the destination for people with disabilities. Patrons with disabilities are eligible for free advanced reservations and free transportation to and from the theatre. All performances are captioned in English with projected supertitles for patrons with hearing loss. For people with vision loss, audio description is also available for most performances. Lobby, auditorium, and restrooms are fully accessible.